Watch the video below to see the highlights of the 2015 24 Hour Drum event. 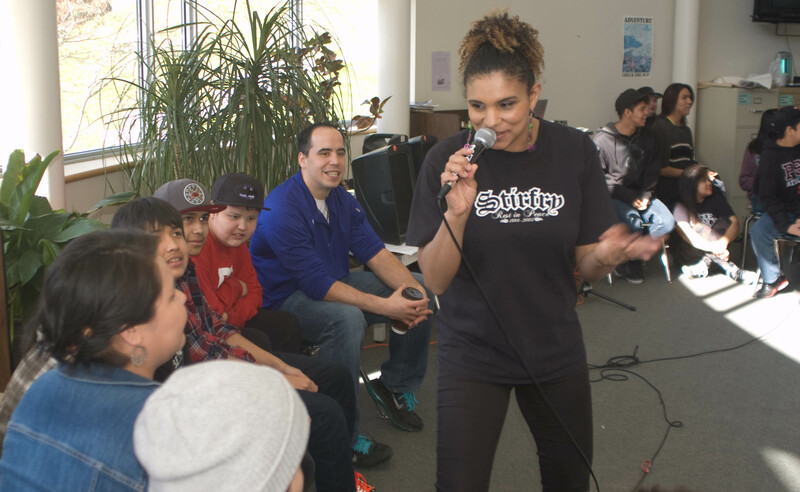 In March 2015, students gathered together to participate in an UrbanInk slam poetry workshop in preparation for the event. Over the course of the workshop, students were empowered to use their voice to share their experiences and stories. Facilitated by Omari Newton and Kia Kadiri, students worked collaboratively to create pieces that channelled their voice and purpose, from slam poems to raps to documentary filmmaking. In the coming months, students will continue to hone their craft of storytelling through spoken word, poetry and art as they prepare for the 24 Hour Drum.